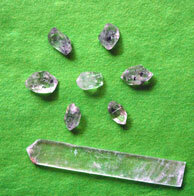 Crystals are great tools for amplifying thought energy. 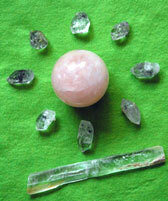 By using multiple crystals in a harmonic, geometric pattern (a crystal grid), a unified energy field is created. 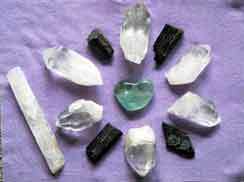 This is a stable, controlled area of amplified energetic accumulation that can be used to magnify and focus your intention for healing, protection, manifesting, and communicating. The grid is activated and programmed with your mind, your intent. With conscious attention and intention, these fields provide access into other and higher dimensions where one is only limited by their imagination. 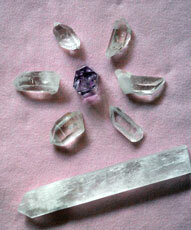 Choose from one of the custom made sets below or call (518) 383-9066 to order a healing set to meet your specific needs.